This trick is outdated but worth a try. If you want you can check our Latest post on How to Make Free Call To Bangladesh which is working fine and you will get instant 100 minutes free calling bonus in your mobile and you will be able to make phone call to Bangladesh. Here is another trick .This trick works as follows. We need to find a service to make free call to USA first. Then we will use different VOIP service provider’s secret Toll Free VOIP USA numbers to make free international calls. So you have to have some service which can make free call to USA numbers. 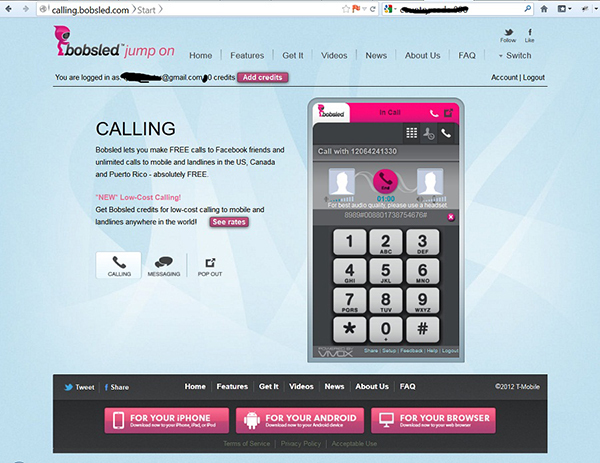 Don’t Worry We previously posted about how to call USA for free using bobsled. Now this Free call to Bangladesh trick will help you to call Bangladesh for free from PC to Mobile. You can call unlimited per day but it has a catch. Sometimes it says “Call lines are busy now”. I have tried dialing UK and UAE number but they does not support UK and UAE. Then I tried a Bangladeshi number and luck! I can call now to any Bangladeshi numbers freely. Any BD mobile numbers are allowed. There is another catch you need to wait sometimes in the line. But not bad . You can call free of cost. If this number does not work then Find new numbers from http://freecallbutton.com . And test numbers one by one. Not all numbers are working. Very few numbers will work. After you dial this number on bobsled window , Your call will be connected and ask you to type password/pin. The password is 8989 for +12064241330 . So you have to press 8989# then it will ask you to dial Destination number. Enter the number you want to call in international form i.e. 0088017XXXXXXXX . Wait sometimes and your call will be connected. Hope you have enjoyed this trick. If you find another working number then it will have another pin. Find your pin from http://freecallpin.com/. Before you close your browser window Just check Free 100 minutes bonus by Raza.com which can be used to make free call to Bangladesh. Anything to Say? Please Comment. Thanks Rakesh for commenting. I will tdry my best to Update this post. Hope in future you will be successful to Make free international call . The password says incorrected! admin i go to ur link to see daily password bot thats also say incorrected! pls help me about this . thank you . Your 33 MB worth it bro. You can call any USA number from bobsled free. Now here is a trick, you can buy USA number from VOIP service provider which will forward all incoming call to your home Bangladeshi number and thus you will be able to call Bangladesh free of charge. When I wrote this post , the followed number was working. If you need new numbers go to the address I have told you in my post. Try every numbers listed there. Thanks for commenting. New calling tricks will be updated very soon. Hi bro im living in usa. Everyday i spend lot of money to calling BD… Can u suggest me how can i call to bd as free…. is that possible?? 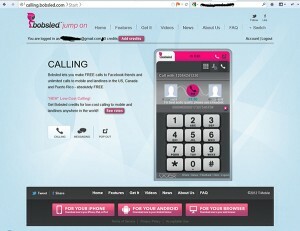 This site claims that It allows free calling from USA/CANADA to worldwide . If it does not work , then give me sometime so that I can search over the internet for new tricks. In-sha-Allah will be posting soon. Thanks bro! Its working fine from here. There may be some issues with your Internet Speed. I know sometimes this app does not open in the browser. But this app uses a new technology. For working, you must click on Bobsled.exe so that it can run in the background and then you have to open its homepage in your browser so that you can call from the browser Window . Remember browser window not the app . If you have any issues still , please comment. Thanks for reading and commenting on here. We heartedly appreciate your feedback ! Hi! Bro The free calling processing to any Bangladeshi number is still running. Please Inform me bro. We will update new posts very soon. Stay tuned ! I can’t use it. From where i will get my user name and password. plz make me know that how i will use it easily. If I will use my facebook name and password than it show logging in….. but i can not access this site to call. plz inform me vaia…. Sorry to hear that you are getting trouble. As bobsled is free, its server is always overloaded 🙁 so you may need to register to bobsled as long as their server can not verify your facebook id. Please register to Bobsled website and use username and password in the calling window. I live in London. Can I make free call to bd mobile??? Hey, Ali bro how’re you ? 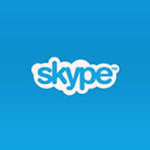 Can you try free 60 minutes skype call credit method? I am not sure if Bing Rewards is available in UK now or not . If it says your region or country is not available then you can use a VPN to change your IP address to USA one. Then you can participate on this Bing rewards by searching on bing everyday 30 queries . I did not research on internet new methods for a year. Hopefully in next month I will publish some new blog about it. Please don’t miss them.